Brad Hardie began his career with WAFL club South Fremantle, debuting at just 16 years of age. Quickly establishing himself as a champion player, the following year he won a premiership, starring with three goals in the grand final. His AFL career included stints with Collingwood, Brisbane and Footscray. He played over 300 games and represented Western Australia in State of Origin competition on 10 occasions. In 1985, his first season in the then VFL, he won the coveted Brownlow medal awarded to the league’s best and fairest player. His career would also see him win two Simpson and two Tassie Medals. Brad has served as a specialised skills coach with the Western Bulldogs. A performer across multiple media platforms, Brad writes for a national sports magazine and a weekly column in the Sunday Times. 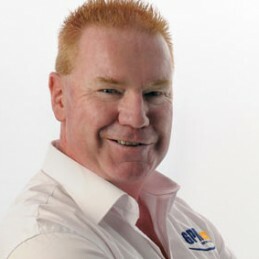 Brad co-hosts Radio 6PR’s Sport Central and is a member of the AFL broadcast team. An in-demand speaker for both corporate and sporting audiences, Brad’s presentations ‘Adapting to Circumstances’ and ‘Goal setting – not shooting for the stars’ are entertaining and motivational. Brad has an excellent sense of humour and easily brings a crowd to laughter. Brad has served as a first-class master of ceremonies for government, corporate and sporting events around the country.